Bob Badacour pitched well enough for Carson-Newman College in 1990 to make the all-conference team. He also pitched well enough to turn pro. His pro career, though, ended up being brief. He played just a single season as a pro. 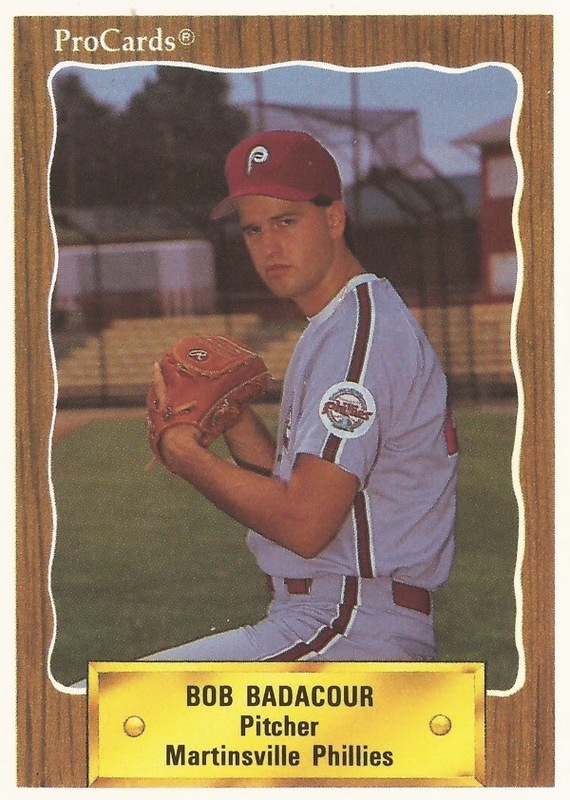 Badacour's brief pro career began and ended in 1990, signed by the Phillies as an undrafted free agent out of Carson-Newman College in Tennessee. Badacour played at Carson-Newman from 1987 to 1990, logging 284 career innings pitched. That innings mark remains tops at the school. He threw three shutouts for the school in 1990, still tied for best in the conference. His 112.1 innings pitched in 1990 is still good for second-best. With the Phillies, Badacour was assigned to rookie Martinsville. He started 12 games for the club and went 3-6. He had a 3.53 ERA, throwing two complete games. It turned out to be his only season as a pro.